Work with Gina - Is She Really? Want to work with me? My talents include cooking, cleaning, babysitting…. kidding. I created this blog as a place for moms to connect, and come for creative and healthy living inspiration. 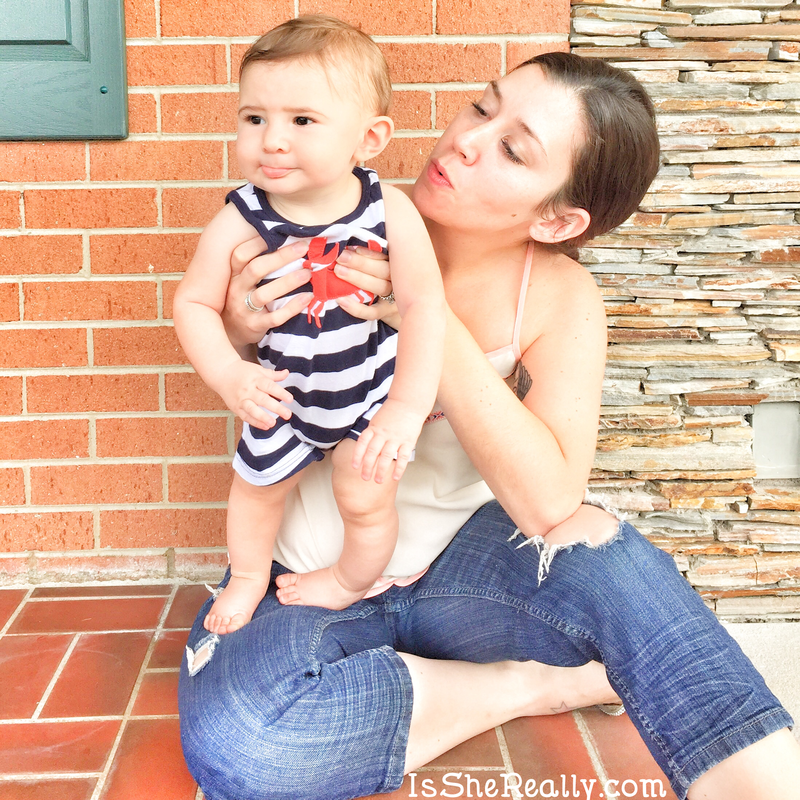 I love collaborating with like-minded moms, bloggers and brands! I am all for supporting mom and women owned businesses. If you’re interested in working together, let me know. For sponsorships and collaborations, please email me at Gina.eKirk@gmail.com. I also offer additional services including social media management, consulting and evaluation. Please email me directly at Gina.eKirk@gmail.com for information on that as well. I am redoing my kitchen..I just got counter tops put in and they look like the exact same as you have. May I ask what color grey you are using on the bottom of cabinets? Hi Paula, the color is Chelsea Gray by Benjamin Moore. Sorry it took me so long to reply – I missed your comment! Just saw your post dated 2/23/16 about your kitchen makeover – beautiful! I would love to hear how your hubby ripped out the small granite backsplash in order to put a larger backsplash. I have the same little “lip” of granite and it drives me crazy! I’m assuming you had to replace the sheet rock where the granite had been. How about getting it separated from the counter – any issues? Hi Alicia! He used a pry bar to get behind the granite and pulled it forward. Ours was glued to the countertop, but not attached to to the wall so there was no wall damage. He did tug on it really “gently” so to speak because with granite it can be fragile if it has a lot of veins, and he didn’t want to risk breaking the countertop. You can use a razor knife to cut the silicone edge where the backsplash meets the counter top before pulling on it, too. All in all it came off pretty quick, but it was heavy to move! Good luck!